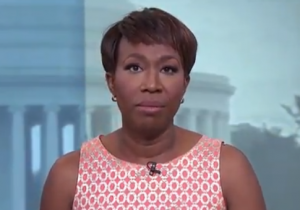 Embattled MSNBC host Joy Reid made homophobic comments and threatened violence against her co-workers while working on her Florida radio show, according to individuals who worked with her at the time. Fox News spoke to Reid's former superiors at the radio station WTPS 1080 AM, where she was the co-host and a producer of "Wake Up South Florida" from 2007 to 2008. They described Reid an "evil woman" who once accused a Republican politician of being secretly gay on air. "It was a very unhealthy work environment because of her attitude. She attacked me on a constant basis while I was there. I was even once threatened with physical violence during a break with her," said former lead host Andre Eggelletion. The cause of the argument was a story Eggelletion wanted to talk about on air. Reid refused to discuss the story, even though he was the show's primary host. "There was a dispute over it and I told her, ‘Go ahead and call the manager’," Eggelletion recounted. He says she responded: "If you ever speak to me like that again I’m coming over there and it’s gonna be me and you." Eggelletion's account was backed up by Lee Michaels, at the time the national program director for Syndication One, which owned the network. "It absolutely happened – 100 percent," he said. "I talked to the general manager and I told him this has to be dealt with in a very firm manner because it was inappropriate and it just can’t be tolerated," Michaels said. The higher-ups at the station then staged an intervention where they warned her she would be fired if it happened again. "Y’all want me to be his friend. I don’t want to be his mother——g friend," Reid reportedly told managers. The report comes amid renewed scrutiny over a contemporaneous blog run by Reid that contained homophobic, anti-Muslim, and 9/11 truther content. Reid originally blamed the blog posts on "hackers" before apologizing and seemingly taking credit for the blog posts. Eggelletion told Fox News that the homophobic content matched what he remembered about her. "She did call [then-Republican Florida Senator] Charlie Crist ‘Miss Charlie’ on the air," he said.